Isn’t fall a lovely season? I think it’s my favorite. I love the crisp days, sweaters and scarves, golden light, and changing leaves. And I love getting the chance to pick my own apples and pumpkins. There’s nothing quite like heading to a farm or orchard on a cool fall day and selecting the prettiest produce. And once you have some apples and pumpkins, you can make a Dutch apple pie. You can make pumpkin bread. You can get in the fall spirit and put some pumpkins on your porch. You can bob for apples. 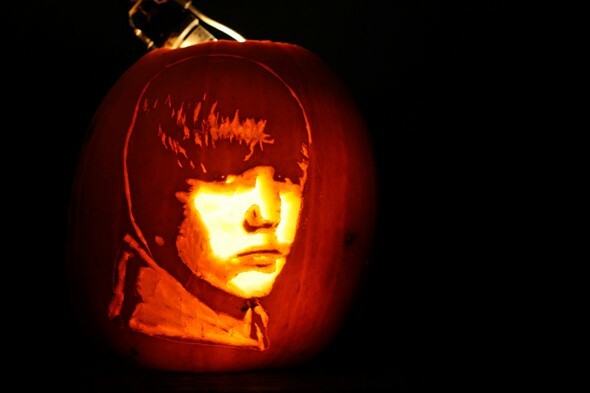 You can carve Freddy Krueger, the Joker, or Justin Bieber on a pumpkin (the Bieber pumpkin is by far the scariest). The possibilities really are endless. But first, you have to acquire some produce. Here are six great farms and orchards in Northeast Wisconsin to check out for your apple and pumpkin needs. Apple Valley is where my husband and I stopped to get our batch of pumpkins and apples this year. The orchard was beautiful and had quite a variety of apples to choose from. We came home with Cortland, Macintosh, Golden Delicious, Gala, and Greening apples. The orchard also had a huge selection of pre-picked pumpkins, available in multiple sizes. My husband, of course, brought home the largest pumpkin he could carry! And if you go to Apple Valley, don’t leave without some funky looking gourds and homemade apple cider. 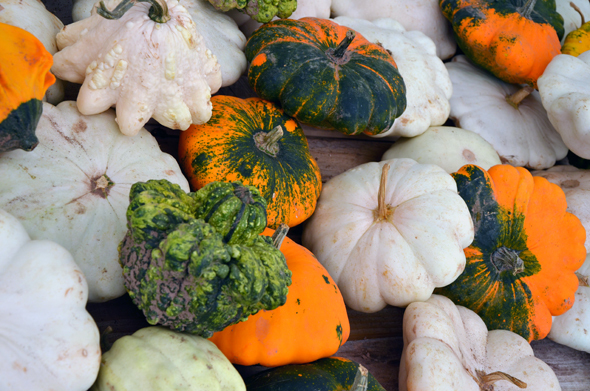 The gourds are less than a dollar a piece, and a few of them make a great fall table centerpiece. And their apple cider is especially good, and has no sugar added! 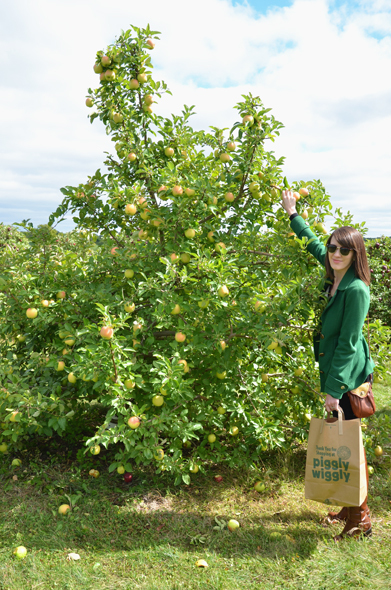 If you’re looking for an orchard in the Fox Valley, check out Star Orchard near Kaukauna. They have more than twenty apple varieties available for picking, and they even have four kinds of pears! If you go on the weekend, you might even get a chance to try one of their caramel apples. The caramel is a secret homemade recipe from Wilmar Chocolates of Appleton. Star Orchard also offers a salesroom with local honey, jellies, jams, and more. 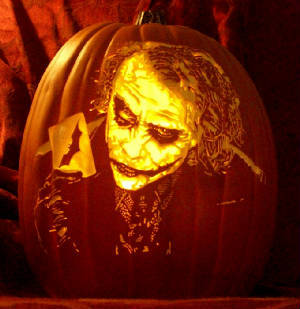 If you’d like to partake in some awesome fall activities as well as purchase pumpkins, head over to the Pumpkin Place. It’s a great place to take kids. This farm has friendly animals like alpacas, fainting goats, and kittens, games such as pumpkin bowling and checkers, and a corn maze. 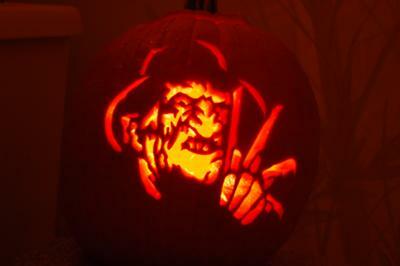 You’ll even get a chance to guess how much the giant pumpkin weighs. The farm also has a huge selection of gourds, corn shocks, and mums so you can decorate for the season. Admission to the Pumpkin Place is $1 per person or $5 for a family pass. 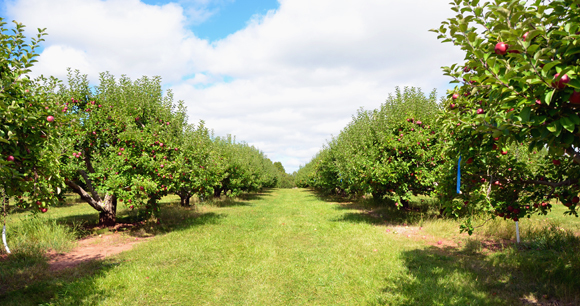 This Sturgeon Bay orchard near the bay offers both apples and cherries. The cherry season is of course unfortunately over, but Choice Orchards has more than twenty varieties of apples available on their 200 acres. You can either pick your own apples, or choose from a pre-picked selection. The orchard also has a 10 acre evergreen maze (which looks pretty awesome) and an orchard museum that will take you through cherry growing history. Just north of Fond du Lac, the Little Farmer is one of the few farms that offers you the joy of picking your own pumpkin straight from the patch. The pumpkin patches are gigantic; you can either walk through them and have what the folks at the farm call “a true pumpkin seeking adventure,” or you can take a hay ride through the 20 acres. The farm also has nineteen varieties of apples for sale, a fantastic bakery where everything is made from scratch each day, and a farmhouse where you can purchase a farm-fresh breakfast or lunch. They even have concerts some weekends; check out their events page to see what’s going on when you plan to visit. Mulberry Lane Farm is primarily a petting farm, but it’s also a one-stop shop for family fall activities. Admission is $12 per person, and includes a FREE pumpkin from the pumpkin patch during the fall season. You’ll also get a chance to milk a cow, try to catch a chicken, and ride a pony (if you’re small enough). And of course, there’s a hayride. If you do go apple and pumpkin picking this season, don’t forget to bring some cash or your checkbook. Most orchards don’t accept plastic. What about you? What’s your favorite place to find apples and pumpkins? Love this story – and love seeing photos of the two of you. Oh! And I love “Whoonew”. check out Cuff’s farm too! SUPER place to bring a bunch of kids ages 1-12!!! we brought 7 kids here last year and so worth it that we planned only to go to this one again and again!